The Hebrew month of Sivan is here and very soon we celebrate Shavuot (20th May- 6th Sivan) which commemorates the Giving of the Torah. Customs include going to synagogue, reading Megillat Ruth, staying up all night learning Torah, and eating cheesecake and other dairy foods. The Torah is a key text for describing the mission and goals of the Jewish people, and it has guided us as a People, our families and communities for millennia. This has inspired us to take the idea of vision and mission and see how it applies to ourselves and our workplaces. The book of Proverbs (29:18) warns us: “Where there is no vision, the people perish”. This lack of vision existed in the period of the Judges (17:6), when, we are told, “In those days there was no king in Israel; everyone did that which was right in their own eyes”. Due to a lack of leadership and a unified vision the Jews ended up worshipping idols. It is clear that in a situation like this, where Jews lack a communal vision, bad things will result. This leads us to the question that we should all ask ourselves- to what extent are people in our organisations doing what they think is right in their own eyes and to what extent are they united by a common vision? Can you clearly articulate the vision and mission of your organisation? What would others (board members, supervisors, co-workers, volunteers, participants) say the mission of the organisation is? Do you know where to find the organisation’s mission? At its best, a non-profit’s mission statement is a succinct expression of an organization’s essential reason for existence or core purpose. Some mission statements may include other elements, such as references to how an organization achieves its impact or what it most values. 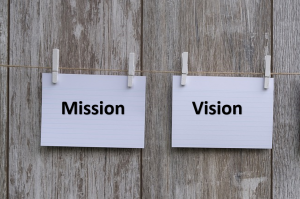 Some non-profits also have a vision statement as a supplement to the mission statement. The most effective ones present a description of the world as it would exist if the organization were to succeed in achieving its grandest aspirations. 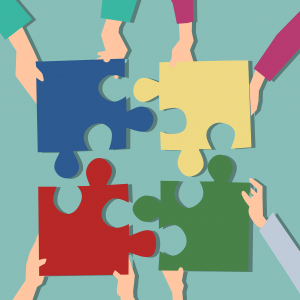 The purpose of these statements is to motivate, guide and bring people together to provide a foundation for programmes, activities and events – as well as a yardstick to measure their success. It is vitally important that you, and your team, know your organisation’s mission and vision! With all this talk about mission and vision we should not forget that we too have a personal mission and vision that goes beyond any job title, event, or organisation. Take time to watch Rabbi Jonathan Sacks’ “Why I am a Jew?” and answer that question for yourself. In what ways does your personal mission align with your organisation’s mission? So this Shavuot we invite you to think about the various missions you’re involved with; those of the Jewish nation, your organisation and your own personal mission. The website Nonprofithub.org explains in more detail how to create effective mission statements. And topnonprofits.com have useful examples and worksheets on their site. Mark Young from the Jewish Theological Seminary contemplates personal mission in his article on what lights you up. If you need inspiration then Rabbi Jonathan Sacks explains his personal mission in this moving animated speech. The new Limmud Chavruta Project Guide ready to use sources for discussion on the topic of Pilgrimage. New Shavuot resources from the National Library of Israel. Pardes podcasts and downloadable learning materials. Fun, accessible animated videos about Shavuot for children and adults, from Bimbam. You can also see the resource of the month on our website and for more information and resources about Shavuot click here.